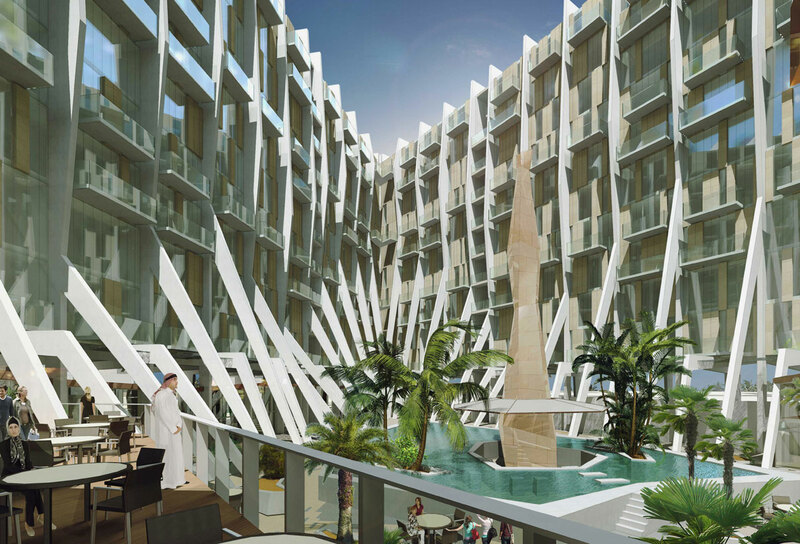 The MAX concept design for KATARA’s 5 star Executive Apartments is driven by the need to maximise sea views. A more conventional massing and approach to aspect could have generated partial or oblique sea views (single aspect) from a good percentage of apartments, but we have aimed to create unobscured panoramic sea views from 70% of apartments. 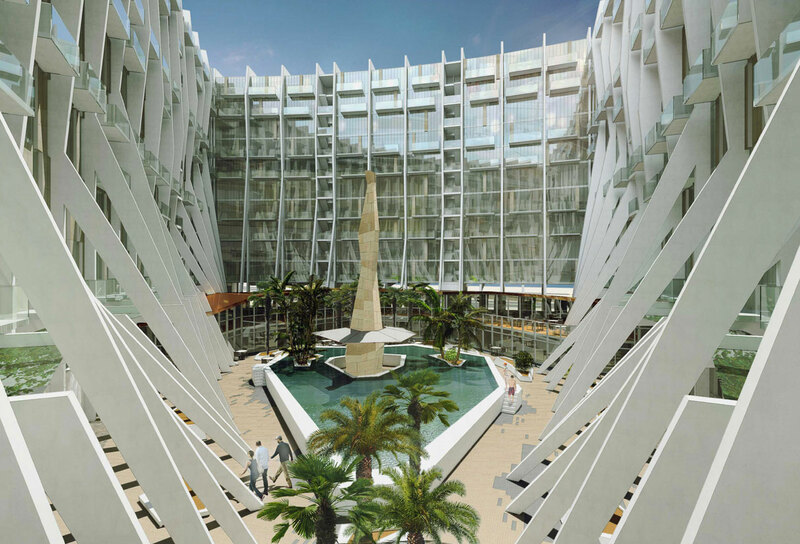 In addition, we have sought to ensure that all apartments have fantastic views into an extraordinary new oasis at the heart of the development. Sheltered from the noise and views of traffic and adjacent development, this central amenity space, measuring 90m x 60m is conceived more as a secluded private park than a traditional courtyard. To achieve these highly desirable dual aspect views, the accommodation has been arranged in a subtly curved triangular perimeter ring. Innovative duplex arrangements generate highly efficient floor plans with access corridors only every third floor. This allows each standard 1 and 2 bed apartment views both into and out of the development, providing luxurious double height volumes and an unusually light and generous feeling of space while adhering to the internal space requirements in the brief. MAX has created a unique structure to help our client establish a world class brand and a global destination.